Popdock makes it easy to access all your Popdock data sources from Tableau. To access a Popdock data source from Tableau, first open Tableau. 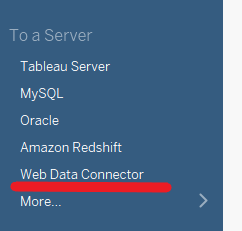 From the connect menu in Tableau, select the Web Data Connector. In the text box requesting a Web Data Connector URL, or the address bar on top of the page enter: https://widget.popdock.com/Tableau/popdock.html and press enter. Enter your Popdock credentials into the Email and Password boxes and press “login”. Select the connector you want, then select either the list or favorite that you would like to be imported into Tableau, then press the “Add Connector” button. 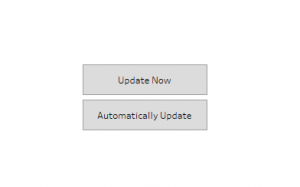 Press the “Update Now” button to pull the data from Popdock into Tableau. You should now see your Popdock list imported into Tableau!